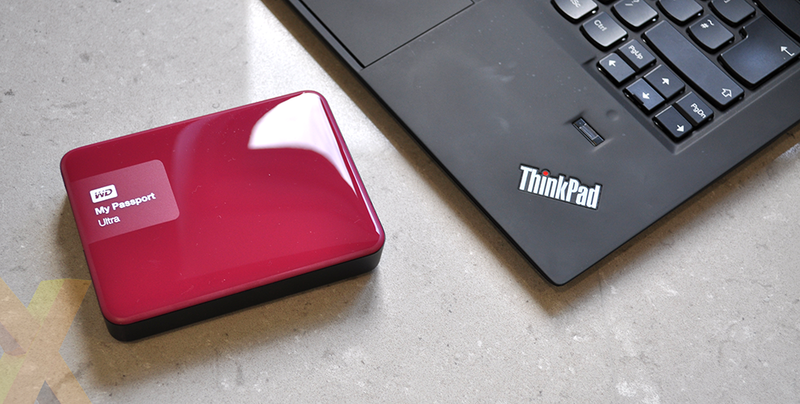 Need a portable hard drive with lots of capacity and a good track record? Tumbling prices and fierce competition ensure that there are plenty of available options, but the one that first springs to mind is WD's My Passport. 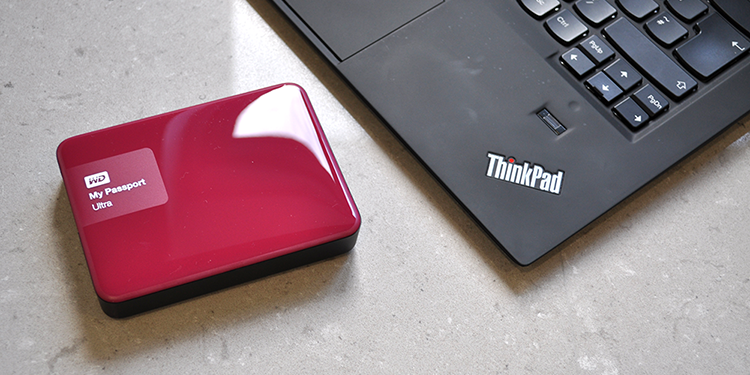 The overall premise hasn't changed much in recent years, My Passport is essentially a WD hard disk wrapped in a cute little shell that's designed to travel, but the drive remains a go-to solution for users seeking portable storage and plenty of it. 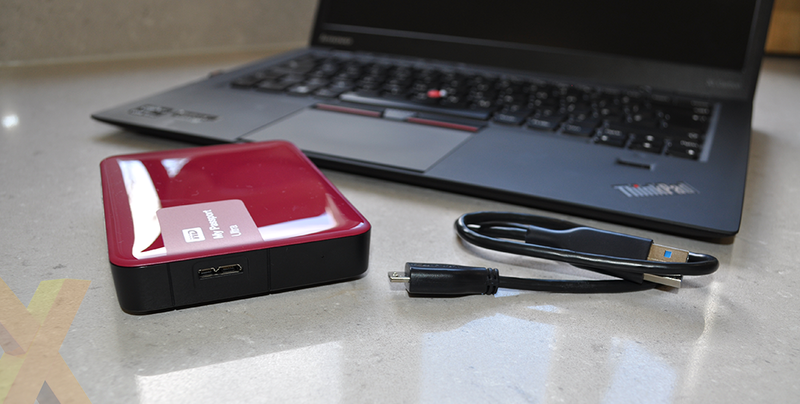 This year, the My Passport Ultra has been given a seventh-generation makeover and we have a 2TB sample in for review. Measuring 21mm x 110mm x 82mm in size and tipping the scales at 240g, the 2015 My Passport Ultra hasn't changed a great deal in terms of form factor but now comes in a choice of four colours: black, blue, white and berry (pictured). It's a pretty-looking thing whose shiny berry lid has already elicited an "ooh that's nice" response from my wife, and if you really want to dress it up, optional 'grip packs' are available in a further five colours with matching flat cables, no less. 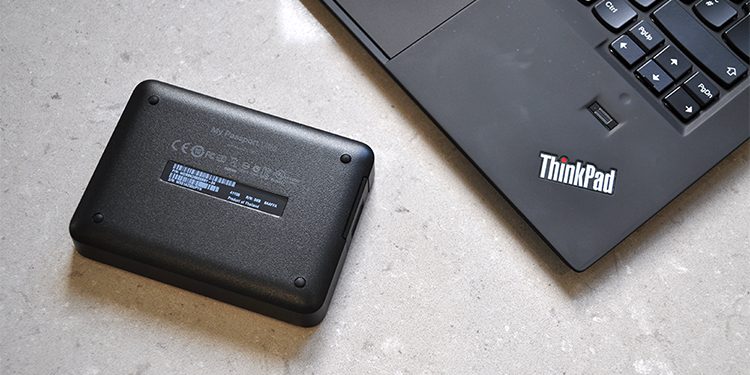 These are fashion accessories in their own right, however the highest-capacity models are a little chubby around the mid-section, and if you've become accustomed to SSDs and other Flash-based media, the My Passport Ultra could be deemed relatively stout. The drive's girth bodes well for storage space, mind you, as My Passport Ultra is available in 500GB (£43), 1TB (£50), 2TB (£75) and 3TB (£129) capacities. That's a lot of space for a moderate outlay, though WD's drive does fetch a small premium - rival portable hard drives can be up to £10-£15 cheaper and that's worth bearing in mind if up-front cost is your most pressing concern. Perusing the drive's exterior doesn't reveal a lot. Four small rubber feet do a good job of soaking up vibration and keeping the drive from sliding around, and WD is confident enough in the underlying hard disk's durability to attach a comforting three-year warranty as standard. There's no easy way to gain access to the internal spinning media - we suspect doing so would void the aforementioned warranty - and the only other external feature of interest is the USB 3.0 Micro-B connector. 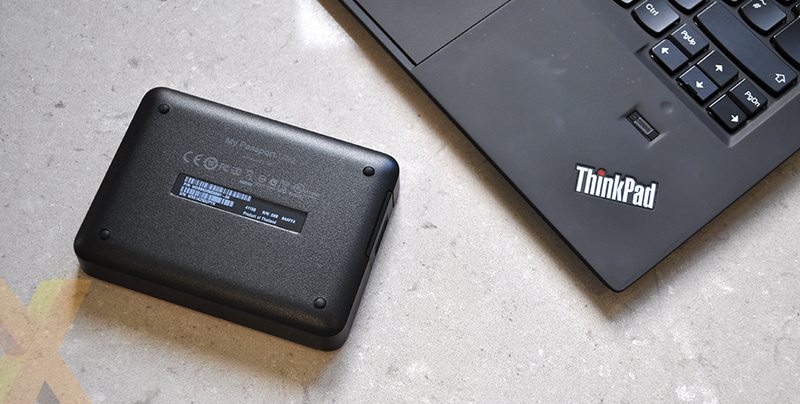 Positioned on the side of the drive alongside a small power/status LED indicator, the single port provides both power and high-speed data transfers to USB 3.0 devices and is also backward compatible with USB 2.0. A short, 19cm USB 3.0 cable is included as part of the bundle, and though this configuration will work well for most users, we're just a tad disappointed to see WD opt against implementing the newer USB Type-C standard. That's something we expect to see in next year's inevitable eighth-gen model.